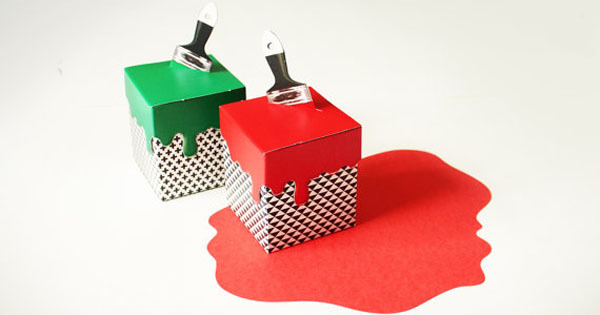 What perfect take-home favour boxes for an art themed party! Ready-to-print, bold, paint-drip boxes. $6 from Sky Goodies.